Building on the success of Cibus Connect 2017, the second edition of the event will triple the number of exhibitors and the square meters of exhibition space this year, with the opening of a new pavilion. It is, in fact, the return of Cibus at an annual rate. Especially thanks to a smart formula, proposed for the first time two years ago and perfectly integrated with the international exhibition offer of odd-numbered years. Two days of strictly professional trade fairs, turnkey stands and cooking stations to display and taste the best products, zeroing logistical problems typical of major events in Italy, offering sourcing support and business opportunities tailored to buyers. Thousands of operators are expected from Italy and Europe as well as top buyers from overseas countries. This year, Cibus Connect will be held on Wednesday 10 and Thursday 11 April. As usual, it is organized by Fiere di Parma with Federalimentare and in collaboration with ICE – Italian Trade Agency. All the major Italian agri-food exporting companies will attend the show. From pasta companies like Barilla, De Cecco, Divella and La Molisana to preserves companies Agromonte, Casalasco, La Doria, Mutti and Petti; from olive oils by Monini and Farchioni, to condiments by De Nigris and Acetum to specialty foods by Formec Biffi, Menu, Gruppo Fini-Greci, Zerbinati, and Master Gnocchi. Without forgetting flours from Antimo Caputo, Agugiaro and Figna and cured meats leading Italian companies such as Levoni, Veroni, Martelli Salumi. As for dairy, Bonterre (from Parmareggio and Grandi salumifici italiani groups), Ambrosi, Zanetti, Igor, Sterilgarda, and Inalpi will attend the trade show. After the success of 2018, many confirmations and many new entries also in the confectionery sector starting with Novi and Vicenzi. The positive relationship with Slow Food is also confirmed. Thanks to it, it will be possible to find sought-after regional and niche products in a dedicated area. 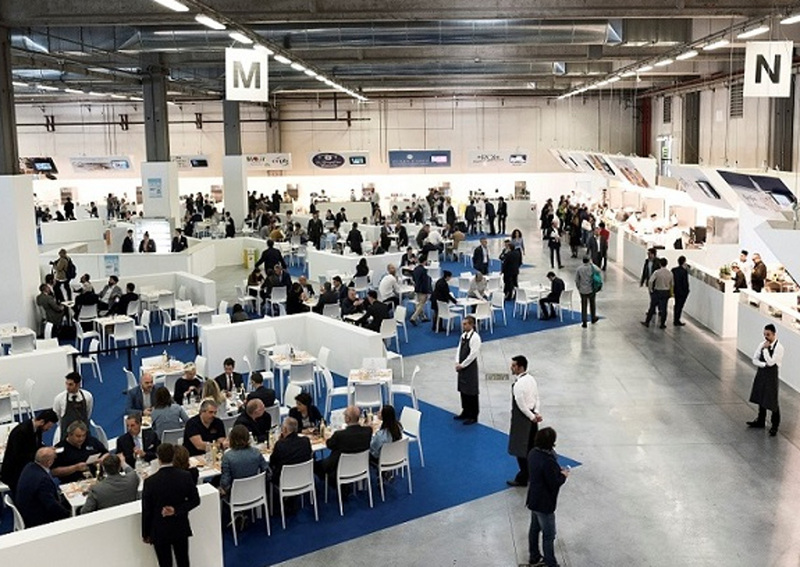 The coincidence of dates with Vinitaly (Cibus Connect opens on the closing day of Vinitaly) will allow synergistic flows of buyers between the two leading Italian fairs in the Food & Beverage sector. Among the many buyers that have already confirmed their presence, the following companies will be at Cibus Connect 2019: Metro and Auchan Retailers, with buyers from many international locations, Cofco/Womai, Whole Foods, Delhaize, Axfood, GFI, Sok, Transgourmet, Mercator; Eroski; Sodexo; Spinneys; Lulu Group, Pizza Express, Angliss, Takashimaya, Daimaru, Hankyu Oasis, Lotte, The Mall; Park N Shop, H-E-B, Sysco, Wakefern, Cencosud, Azbuka Vkusa, and Globus Gourmet. The Cibus Connect conferences will also be essential and functional. During the opening conference, Cibus and Federalimentare will present an industry study carried out in collaboration with ISMEA, focusing on the critical success factors of food companies in the South of Italy that are performing very well at the international level. In the afternoon of the first day, in collaboration with the consulting firm PricewaterhouseCoopers PwC, the profitable relationships that can be established between food companies and large retail chains will be analyzed. During the second day, top players will present case histories from the retail and industry world, focusing on premium brands products as drivers for the development of food stores, also through the contribution of Deloitte and the data of the 22nd ‘Power of Retailing’ edition. Finally, a workshop on the success stories of Food & Wine pairings on the shelves of international retailers will be presented.